The Supreme Court accepted Carpenter’s appeal. The Carpenter case dealt with whether cell phone users have a “reasonable expectation of privacy” when they voluntarily turn over their information to third parties. For the past 40 years, the Supreme Court “third-party doctrine” held that people have “no reasonable expectation of privacy” when they voluntarily give their information to third parties, such as phone companies, email providers, internet service providers, and banks. Carpenter challenged the “third-party doctrine” in the emerging era of the digital age. In a 5-4 decision, the Supreme Court disagreed with the lower Courts and ruled in favor of Carpenter. The majority split along ideological lines with Chief Justice John Roberts joining the liberal minority. The majority opinion was written by Roberts. 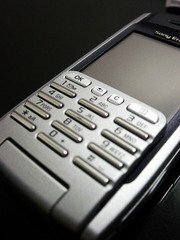 In ruling that the “third-party doctrine” did not apply to cell phones, Roberts concluded that “we decline to grant the state unrestricted access to a wireless carriers database of physical location information.” In refusing apply the “third-party doctrine” to cell phones, Roberts made a point of arguing that cell phones are different from bank records which can be obtained by a simple court order. Roberts pointed out that the information generated by cell phone location data allows the government to conduct surveillance that was “tireless and absolute.” The cell phone location data can track every moment of a suspect’s movement. Since there’s no limits to how long a cell phone carrier can maintain that information, the government can obtain the location data of anyone forever without the protections of the Fourth Amendment. A warrant is not needed to obtain cell phone location tracking information in an emergency such as a child abduction situation. However, this decision does not address the concerns of privacy advocates who are concerned about the buying and selling of cell phone tracking location information by private companies. Private companies have been collecting cell phone location data and reselling it for several years. Police agencies have been buying this information for years. There is no law dealing with the buying and selling of such information. The Supreme Court’s decision in this case has no bearing on whether the police can buy this location based information from a third-party. There is no law, and nothing in the Carpenter decision, that prohibits the police from bypassing obtaining a warrant by just purchasing this location based cell phone information from a private company. Cell phone carriers have been saying that they will not be cooperating with these private cell phone data collection companies, but there is no law or regulation that stops this from happening. James Dimeas is a nationally-recognized, award-winning, criminal defense lawyer. Recently, the American Society of Legal Advocates named James Dimeas a “Top 100 Criminal Defense Lawyer In the State of Illinois For the Year 2018.” The National Trial Lawyers named James Dimeas a “Top 100 Criminal Defense Trial Lawyer.” The American Institute of Criminal Law Attorneys named James Dimeas a “10 Best Attorney for Client Satisfaction.” James Dimeas has been named a “Best DUI Attorney.” Expertise named James Dimeas a “Best Criminal Defense Lawyer in Chicago.” AVVO rates James Dimeas as “Superb”, the highest rating possible for any criminal defense attorney in the United States. In Carpenter, the Supreme Court Rules, Narrowly, For Privacy, by Amy Davidson Sorkin, The New Yorker, June 22, 2018. Supreme Court: Police Need Warrant for Mobile Location Data, Krebson Security, June 22, 2018. Supreme Court Issues Opinions on 4th and 5th Amendment Cases, by James G. Dimeas, Chicago Criminal Lawyer Blog, May 15, 2018. Supreme Court Imposes Limits on Police and Motorists in DUI Case, by James G. Dimeas, Chicago Criminal Lawyer Blog, January 29, 2018.